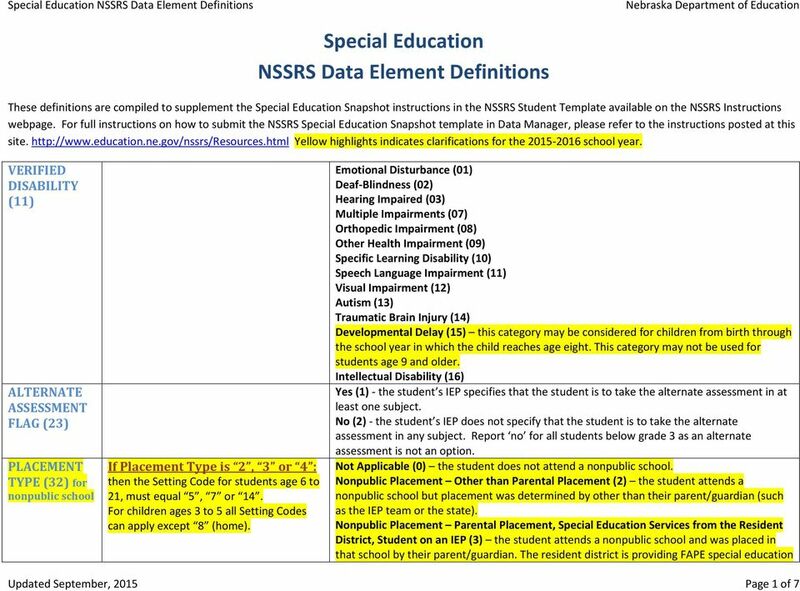 Download "Special Education NSSRS Data Element Definitions"
ARKANSAS DEPARTMENT OF EDUCATION SPECIAL EDUCATION AND RELATED SERVICES 30.00 EARLY CHILDHOOD SPECIAL EDUCATION (AGES 3 THROUGH 5 YEARS) July 2008 30.01 AUTHORITY AND APPLICABILITY 30.01.1 Statutory Authority. 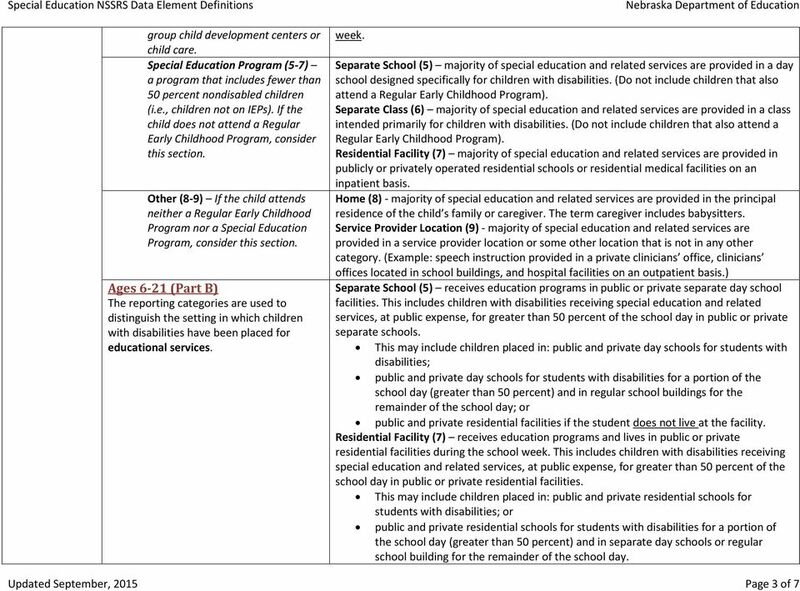 Michigan Department of Education, Office of Special Education Michigan s State Performance Plan Annual Public Reporting All data reported are from Michigan s Annual Performance Report, submitted 2/1/2012. Special Education FTE 101 Let s Start at the Very Beginning.A Very Good Place to Start! FY15 Georgia Department of Education Data Collections Conference Dr. John D. Barge, State School Superintendent Dr.
Wisconsin Department of Public Instruction PROCEDURAL COMPLIANCE SELF-ASSESSMENT EVALUATION PI-SA-RRC-EVAL-001 (Rev. 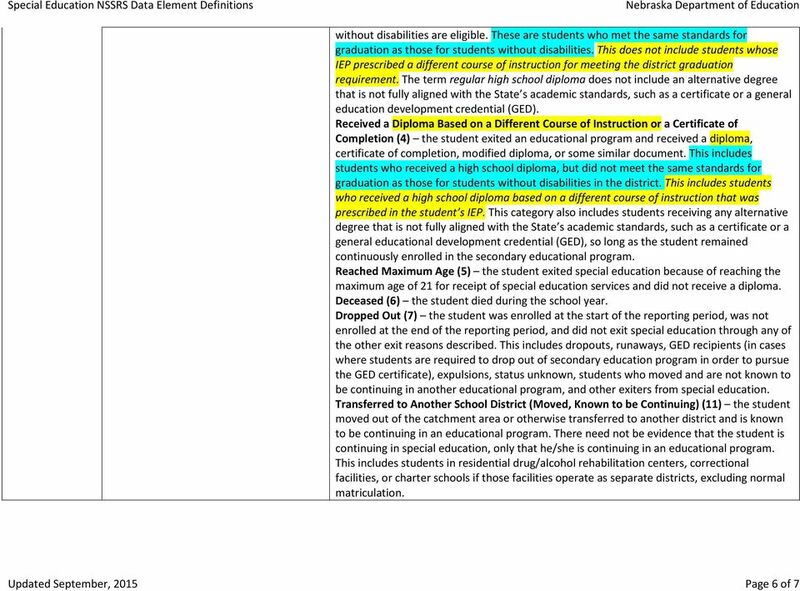 07-14) INSTRUCTIONS: Complete one copy for each student record selected for the sample. 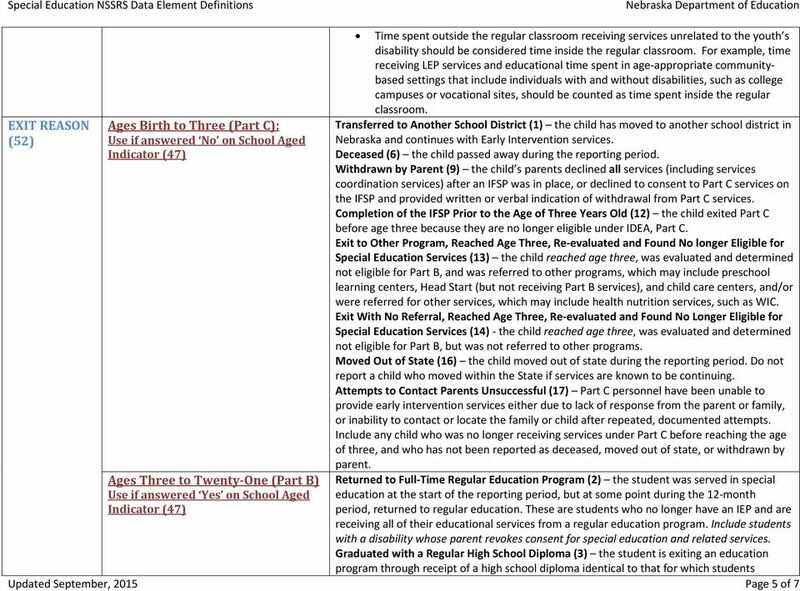 160-5-1-.34 GEORGIA SPECIAL NEEDS SCHOLARSHIP PROGRAM. 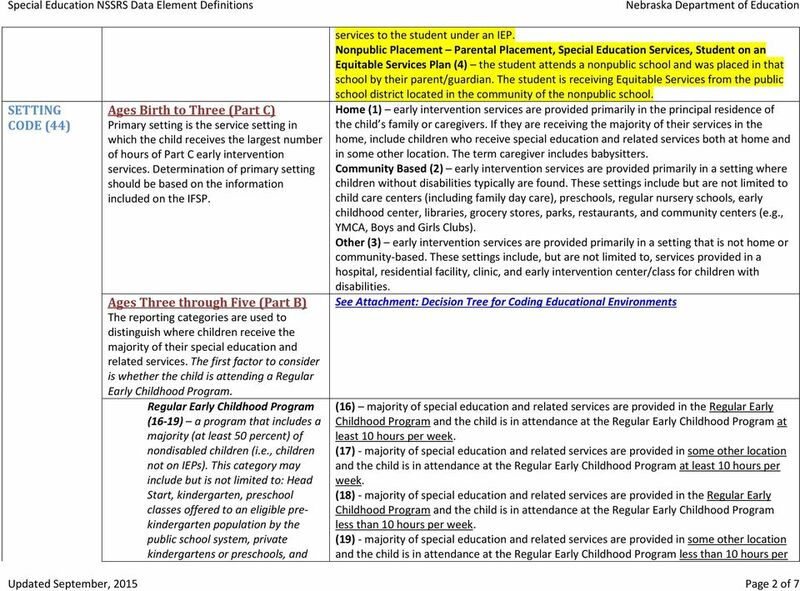 Early Childhood Educational Environment Codes Illinois State Board of Education and Harrisburg Project 1 Agenda Why are Early Childhood EE Codes changing again? What is NOT Changing? What IS Changing? 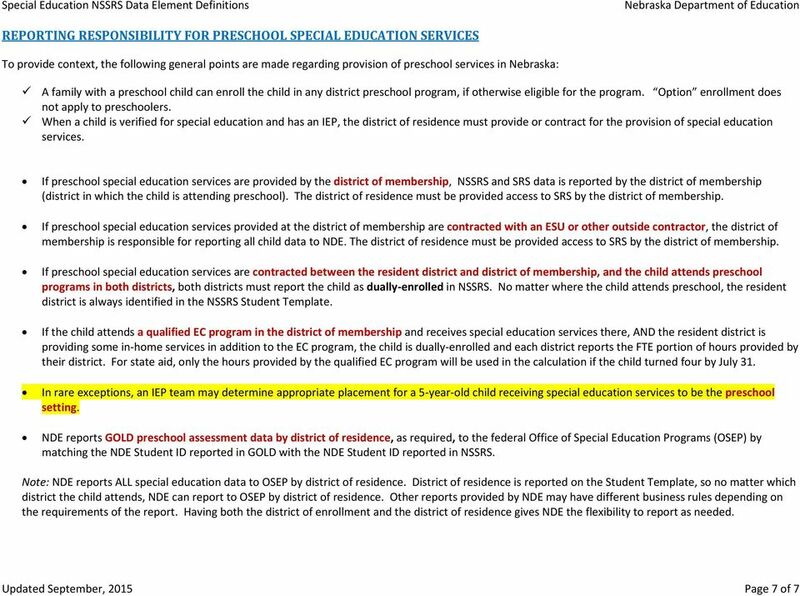 Special Education July Submission. 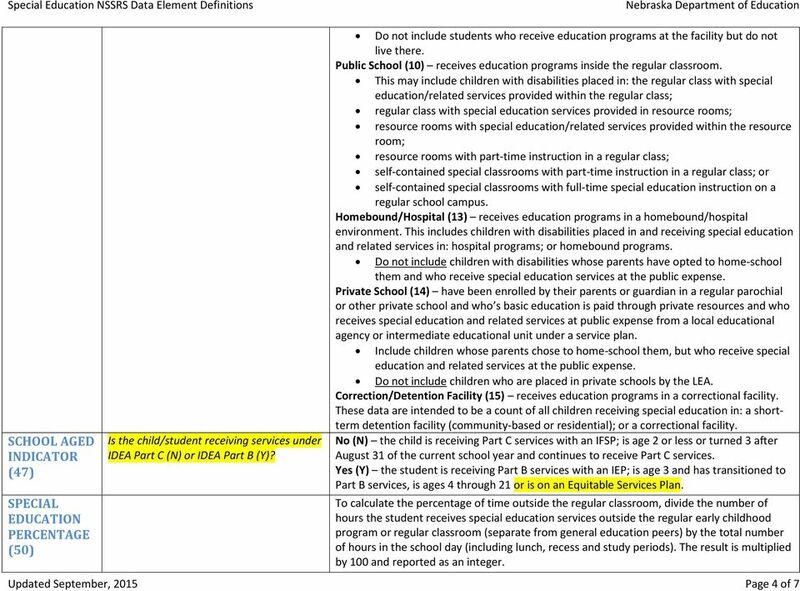 PIMS Submission Info & Special Education Tables Who and What are we supposed to report?